Textbooks, Exams, Test Questions and Assessments and other resources that focus on Special Topics in the Law Enforcement Field. What are the best textbooks to study TODAY for passing these police special topic exams? These topics are the current list (to be updated regularly) of special stand-out law enforcement promotion exam topics that do not easily fit into a specific type of exam, or a specific rank being tested for. These are the best textbooks I have found which cover all of the above listed topics. Promotional Exams for any or all of the great textbooks listed on this page can be taken by you to use as study material within the Advanced Police Promotional Testing Course at PoliceCareer.com. You can also practice with a police sample in-basket assessment. For the Record: Report Writing in Law Enforcement - Hess and Orthmann. - From me; I consider this the only really good police report writing book out there. Multicultural Law Enforcement - Strategies for Peacekeeping in a Diverse Society, by Shusta and Levine. Now in its 7th edition. This new edition reflects new and expanded information on issues facing law enforcement professionals and the communities they serve, such as implicit biases and police-community mutual stereotypes. From the publisher; addresses topics of key concern to criminal justice and emergency service professionals, including cultural awareness, prejudice, bias, racial profiling, hate and bias crimes, and cross-cultural communication. It covers issues of workforce diversity such as the recruitment and retention of minorities. The content deepens readers' understanding of many demographic groups in our nation’s multicultural population, broadly focusing on ethnicity, race, culture and sexual orientation as well as on other societal sub-groups, including immigrants, refugees, homeless, mentally ill and gangs. The book also addresses multicultural issues that relate to terrorism, homeland security and disaster preparedness. The information and insights contained in the text will no doubt contribute to the increasing need for professionalism required of law enforcement in responding to multicultural diversity issues. Using examples from case studies and established guidelines within law enforcement, the text focuses squarely on the contact police officers and civilian employees have with the community, emphasizing the importance of cultural awareness, understanding, and respect. In adopting this textbook, instructors will have access to a complete learning package designed to stimulate students' higher levels thinking and awareness. Visit us for the Multicultural Law Enforcement exam, test questions, study guide and flashcards. Why Law Enforcement Organizations Fail: Mapping the Organizational Fault Lines in Policing - by Patrick O'Hara. From the publisher; Why Law Enforcement Organizations Fail dissects headline cases to examine how things go wrong in criminal justice agencies. New second edition cases include the deadly police assault on New Orleans' Danziger Bridge after Hurricane Katrina; the deaths of Amadou Diallo and Trayvon Martin; and Bernard Kerik's fall from 9/11 hero to federal prisoner. Highlight cases that remain from the first edition include the Jon Benet Ramsey murder investigation and the conflagrations that ended the sieges in Waco and at the MOVE house in Philadelphia. The book examines how dysfunctions such as institutional racism, sexual harassment, systems abuse and renegade enforcement become established and then readily blossom into major scandals. Why Law Enforcement Organizations Fail also shows how managers and oversight officials can spot malignant individuals, identify perverse incentives, neutralize deviant cultures and recognize when reigning managerial philosophies or governing policies are producing diminishing or negative returns. Visit us for the Why Law Enforcement Organizations Fail exam, test questions, study guide and flashcards. National Incident Management System NIMS - From the publisher; The National Incident Management System (NIMS) provides a systematic, proactive approach to guide departments and agencies at all levels of government, nongovernmental organizations, and the private sector to work seamlessly to prevent, protect against, respond to, recover from, and mitigate the effects of incidents, regardless of cause, size, location, or complexity, in order to reduce the loss of life and property and harm to the environment. Visit us for the National Incident Management System NIMS exam, test questions, study guide and flashcards. The President's Task Force on 21st Century Policing - Final Report - 2015 - From the publisher; The task force recommendations, each with action items, are organized around six main topic areas or “pillars:” Building Trust and Legitimacy, Policy and Oversight, Technology and Social Media, Community Policing and Crime Reduction, Officer Training and Education, and Officer Safety and Wellness. The task force also offered two overarching recommendations: the President should support the creation of a National Crime and Justice Task Force to examine all areas of criminal justice and propose reforms; as a corollary to this effort, the task force also recommends that the President support programs that take a comprehensive and inclusive look at community-based initiatives addressing core issues such as poverty, education, and health and safety. Visit us for the President's Task Force on 21st Century Policing exam, test questions, study guide and flashcards. Promotional Exams for all these great police leadership textbooks and other source work can be taken by you to use as study material within the Advanced Police Promotional Testing Course at PoliceCareer.com. Which item below is NOT a major NIMS components making up their systems approach? 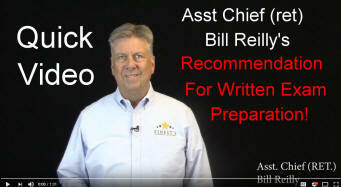 Preparedness training exercises should contain a mechanism for incorporating _________ into the planning process. The incident command function may be conducted in which general ways? A Strike Team consists of a set number of resources of the same kind and type operating under a designated leader with _____________________. A ICS, MACS, and Public Information remain separate elements. B the ongoing management and maintenance of NIMS. C revision to NIMS on a semi-annual basis. D NIMS training for all State, tribal, and local stakeholders and nongovernmental organizations (NGOs). Procedurally just behavior is based on which central principle? The vision of policing in the 21st century should be that of ___________. Question 3 - What is Police Legitimacy? Question 5 - What is Procedural Justice? Question 6 - What is Implicit Bias?